At long last, PokerStars is on the verge seriously addressing its long-running problem with software-assisted online poker players using seat-selection scripts. According to a detailed memo recently sent to its wide distribution list of third-party software developers, Stars will implement platform changes on March 1, 2019 that are designed to minimize the impact of such programs, which have dramatically and negatively impacted the balance between high-volume grinders and recreational players. What appears set to occur is an expansion of a protocol first announced and implemented by PokerStars way back in 2017. Called “Seat Me”, the protocol assigned open seats at cash-game tables in a random basis, instead of allowing users of the automated, high-speed scripts to grab seats where known “fish” (lesser skilled players) had just taken seats themselves. Stars announced the Seat Me protocol in January of 2017, and implemented it immediately on the pokerstars.es (Spain) site, and promised that it would be implemented “soon” in a worldwide fashion. Instead, for undisclosed reasons, PokerStars implemented the Seat Me protocol only on another single-nation network, pokerstars.it (Italy), while leaving the script kiddies free reign on all other PokerStars offerings, including its primary global network. Given that many other sites and networks have banned such scripts in recent years, including one of Stars’ chief rivals, PartyPoker, the non-implementation was concerning. 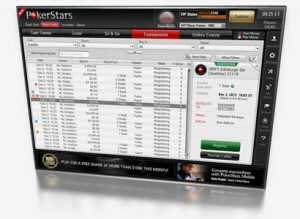 It’s true that PokerStars had received fierce criticism from its high-volume player population over other network changes, and parent company The Stars Group may have simply decided it was best to push this alteration down the road. “Stars has recently sent developers new rules for auxiliary software, which will come into force on March 1. According to these rules, new requirements are established for the means of a game select – everything that uses statistics, notes and the like to search for a game will be banned. “In order to continue to protect our players and enhance the overall experience, in the coming months we will be introducing a range of changes to our Third Party Tools & Services policy, which we will communicate ahead of time. One such change is we will be prohibiting any tool or service for table selection efficiency that filters or sorts available games, or automates/semi-automates the process of joining available games based on opponent gameplay statistics or notes.